If you’re a fan of the carnivorous pitcher plant, you’ll eventually want to propagate some of your specimens to add to your collection. These plants may look exotic, but propagating pitcher plants is no harder than propagating any other plant. 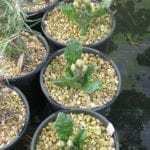 Pitcher plant propagation can be done in a number of ways, but planting seeds or rooting cuttings are the best methods for home growers to succeed. Learn more about how to propagate a pitcher plant and you’ll increase your collection with very little effort. Collect the pitcher plant seeds in late fall by pinching open the dry capsules over an envelope or piece of paper towel. Drop the seeds into a sandwich bag, along with a fungicide such as Captan, and shake the bag to coat the seeds. Pour the seeds and powder onto a new sheet of paper towel and blow off the excess powder. Spread the seeds out on a dampened paper towel, roll up the towel and store it in a zip-top bag in the refrigerator for two to three months. Sprout the seeds by sprinkling them over a mixture of sand and peat moss. Water it and place the planter under grow lights 18 hours a day. Germination can take weeks, and the seedlings need to stay under the lights for at least four months before transplanting. A faster way to propagate is by rooting pitcher plant cuttings. Cut pieces of stem that have two or three leaves on them, and clip off half of each leaf. Cut the bottom end of the stem on a diagonal and cover it with rooting hormone powder. 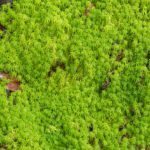 Fill a planter with sphagnum moss and wet it. Make a hole in the damp moss with a pencil, place the powdered stem in the hole and push the moss around the stem to secure it. Water the pot again, place it in a plastic bag and place it under grow lights. The pitcher plant cuttings should root within two months, and can be transplanted after they begin to grow new leaves.